Total Zambia this month celebrates its 65th anniversary in Zambia and launches a competition to encourage social and economic development through entrepreneurship. Entrepreneurship continues to create social and economic benefits for communities across Zambia and supporting startups will encourage more youth participation in economic growth. Speaking in Lusaka at the launch of the K390 000 ‘Startupper of the Year by Total’ competition, Total Zambia Managing Director Damien Ricour-Dumas said the contest aims to provide support for the best business creation and business development projects that will promote social and economic development in Zambia. He said the launch of the competition was aimed at identifying and supporting startups in Zambia that demonstrate potential to uplift communities. 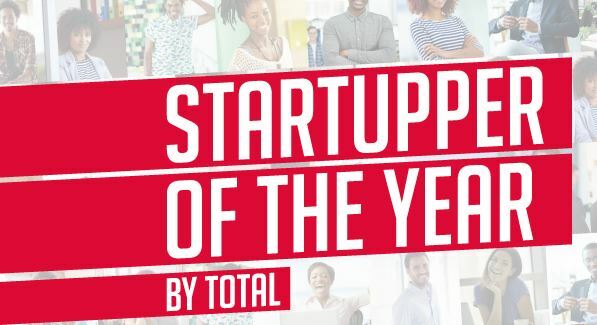 “In Zambia, many young people aspire to start their own business and build a brighter future, which is why we’ve created the ‘Startupper of the Year by Total’ challenge. Ideas deserve support, especially great ones,” says Ricour-Dumas. Ricour-Dumas adds that to get their business project off the ground or develop a business less than two years old, each of the three winners of the challenge will receive individual coaching and on completion of the coaching, Total will also provide financial support for their project. “This initiative supports enterprises that are dealing with the challenges in the community. Entrepreneurs are problem solvers and the Startupper challenge asks members of the public to show us how their business can make a difference in the community. Total will support those of you who will inspire, create, invest, hire and produce, all to transform your own communities,” said Ricour-Dumas. The competition is open to individuals up to 35 years of age at the time of submitting the application, who either have plans to start a business that has to be implemented within 6 months after selection of winners or have a business under development that is less than 2 years. Contestants will have to be citizens of Zambia and are allowed to submit one project each. Applications may be submitted from November 1st 2015 to January 31st 2016. All submissions shall be exclusively via online platform. A jury of senior entrepreneurs will select 10 best projects submitted as finalists and these will be communicated to the contestants who will then confirm desire to continue with the next phase of the contest. The 10 finalists will present their project proposals to the jury who will then select the three best projects which will be placed on the list of winners in order of ranking. An official ceremony to announce the results and award the winners will take place latest April 2016 with the value of awards equivalent to 1st prize, ZMW 190,000, 2nd Prize ZMW 120,000 and 3rd Prize ZMW 80,000. “The competition is currently underway across 34 African countries where Total operates but takes greater significance in Zambia because on November 10 of this year 2015, Total Zambia will celebrate 65 years of presence and operations in Zambia, an occasion that demonstrates the company’s long term history in Zambia, its commitment to better energy and its commitment to supporting the people and economy of the country,” says Ricour-Dumas. Total Zambia is an affiliate of the Total Group, one of the largest integrated energy companies in the world, covering oil and gas, solar and biomass with activities in more than 130 countries. Currently one of the leading oil marketing companies in the country, Total Zambia Limited is an ISO certified company and is present across the petroleum product marketing chain — service station networks, general retail, lubricants and aviation fuel. It operates a network of 49 service stations situated in most of the provinces of Zambia and is continuously developing new solutions to serve its customers. Total Zambia proudly markets high-quality fuels, Total Lubricants as well as the Awango solar lamps or innovative cooking solution. TOTAL Zambia’s Head Office is in Lusaka in the heavy industrial area. There is also a regional office situated in Ndola in the Copperbelt province.